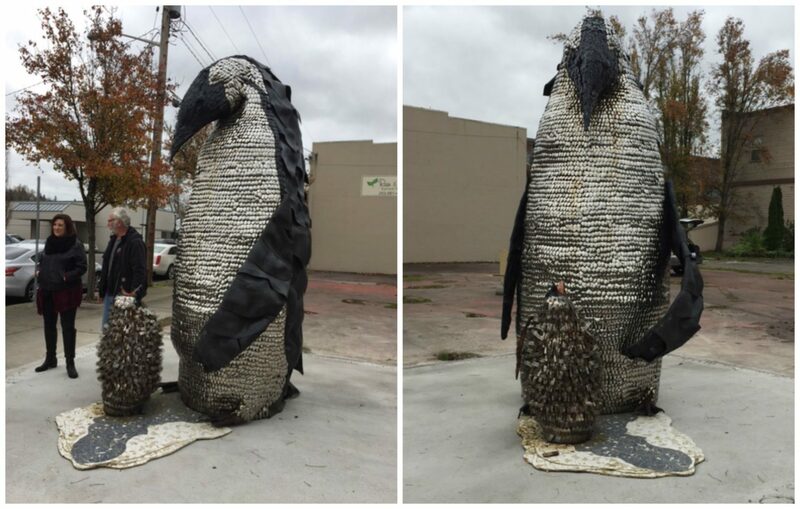 Just in time for the Kent Lions’ annual Winterfest celebration, a 10-foot tall father penguin and his 4-foot tall son have been installed in downtown Kent at the corner of 2nd Avenue and West Meeker Street. 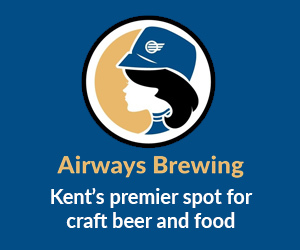 They are the latest addition to an eclectic mix of public art in downtown Kent. 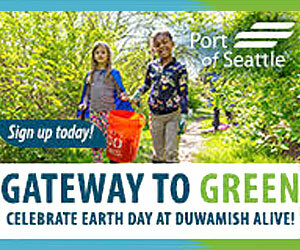 Previously, the penguins were part of the Seattle Symphony’s “March of the Penguins” before going on display near Auburn’s Game Farm Park. The penguins have been leased from artist Greg Bartol for a year. 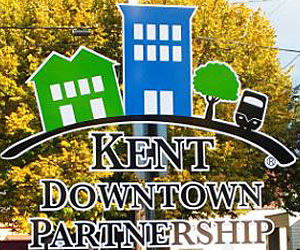 Kent Downtown Partnership (KDP) sponsored and paid for the penguins, starting with negotiating terms with the property owner of the vacant lot the penguins sit on, Bartol and the city of Kent. Last weekend volunteers from KDP broke up the old cement so a fresh pad could be poured to create a pedestal where the penguins would be secured. The penguins were created by metal artist Greg Bartol out of repurposed objects including forks, spoons and rubber tubing. He was helped by artists Debbie Drllevich and Anita Schuler, all three of whom are part of the Green River College Welding Technologies program. “This is exactly what we wanted,” Smith added.